Bisi bele bath is a delicious Rice based dish prepared with Rice, Toor dal, Vegetables (Carrots, Tomatoes, Potatoes, Green Peas, and Brinjals) and Spices. This Easy Bisibelebath can be easily made in Pressure Cooker in a short time. As this tasty dish contains Toor dal and various Vegetables, it is loaded with protein, fiber and nutrients. You can also store this Bisibelebath powder for few days. It is an Ideal Lunchbox recipe too which can be prepared easily in the busy morning. This dish is perfect for Kids as it won’t be spicy. If you still want to make this delicious dish tastes mild, reduce the quantity of Red Chilli seeds added while making the powder. Here is the simple recipe to relish its taste at home. Roast the Mustard Seeds with the Ghee (1 tsp) until it crackles, in a Kadai at low flame. Add the Chana dal and Urad dal to it and roast until both the dal turn slightly brown. Then, add the Cloves, Red Chilli seeds, Ground nuts (Optional),Cinnamon Stick, Fenugreek Seeds, Coriander Seeds, Cumin Seeds and Poppy Seeds to it. Roast the mixture for 2 minutes at medium flame. Switch off the flame. Cool the mixture for few minutes. Grind it to a powder. Bisibele powder is ready. Mix the Prepared Bisibele powder Toor dal, Rice, Tamarind, Turmeric powder, required Salt, Water ( slightly less than 4¼ cups), chopped Carrots, Green peas, Onions, Brinjals, Tomatoes and Potatoes in a Pressure Cooker and cook it for 4 whistles (I have used 5 litre stainless steel pressure pan for cooking). Mash the cooked mixture. Bisibelebath is ready. Roast the Cashew nuts in the Ghee (½ tsp) until it turns slightly brown, in a small pan at low flame and then add the Raisins to it.Switch off the flame. Add the mixture in a small pan to the prepared Bisibelebath. Mix it well. Garnish with chopped Curry leaves and Coriander leaves. 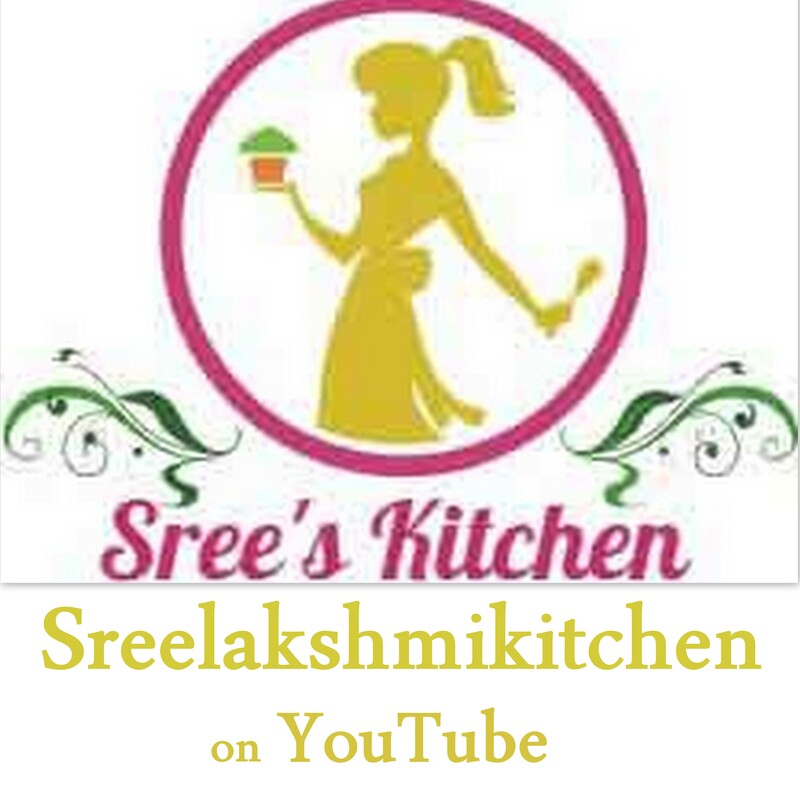 Please don’t forget to press the “Subscribe button“at the bottom of the page, to subscribe to my blog or like my Facebook Page “Sreelakshmi Kitchen” or Twitter page @sreeskitchen for updates. If you like the recipe, please share it and give your valuable comments. January 8, 2017 in Lunchbox Recipe, Main dish, Vegan recipes. Its nice thank you for giving this beautifull recipes. Thank you very much 🙂 Glad that you love the recipes 🙂 You are most welcome.. Please try it, it will be tasty..